It is thus clear that taking a siksha guru does not mean we have to reject or avoid the instruction of our diksha guru. 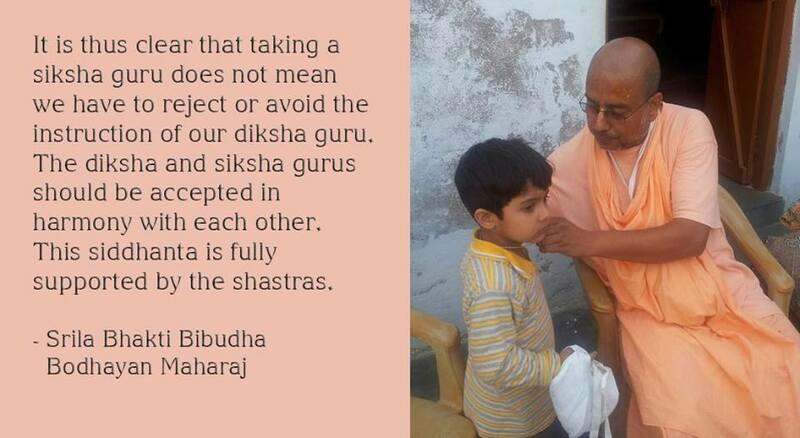 The diksha and siksha guru should be accepted in harmony with each other. This siddhanta is fully supported by the shastras.